This effective conditioning formula and the rich scent of fresh juniper combine to protects fibres and leaves your laundry soft and static-free. 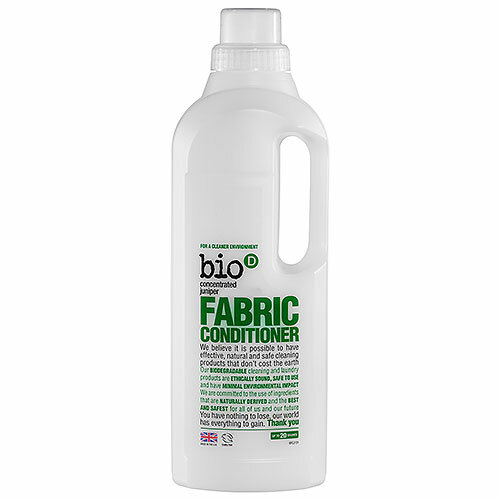 Suitable for use in automatics, twin-tubs and for conditioning delicate fabrics by hand. Follow manufacturer’s recommended programme, adding 50ml of Conditioner to the machine dispenser. Add 50ml of Conditioner to a 1L jug of water, pour over the wash and spin. Add 50ml of Conditioner to a 1L jug of water and pour over the wash. Allow to soak before rinsing thoroughly in clean water. 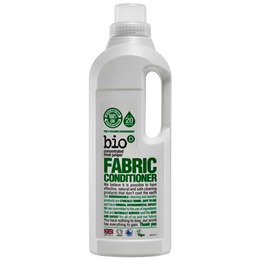 Below are reviews of Bio D Fabric Conditioner with Juniper - 1 Litre by bodykind customers. If you have tried this product we'd love to hear what you think so please leave a review. I have been using Bio D Laundry and dishwashing liquid for years, as they do not contain chemicals to which my skin reacts and I find them quite effective.